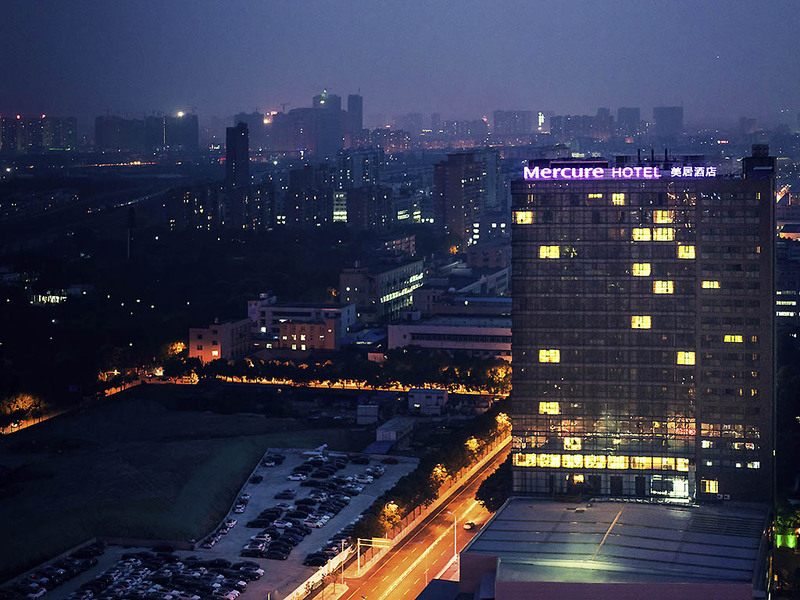 Located near Wangjiadun Central Business District and Jiang Han Economic Development Zone, Mercure Wuhan Changqing Park is within walking distance from Chang Gang Road Metro Station. It is only 15 minutes by car from Wuhan Tian He Airport and 10 minutes from Hankou Railway Station. The 251 room hotel features an All Day Restaurant, fitness centre, 2 function rooms and free WIFI. Perfect for both business and leisure travelers. Located on the cross of Chang Qing Road and Jiang Fa Road, nearby the Changqing Park and Hankouli. Located near Wangjiadun Central Business District and Jiang Han Economic Development Zone, the 251room Mercure Wuhan Changqing Park features an All Day Restaurant, fitness centre, 2 function rooms and free WIFI. O Mercure Wuhan Changqing Park, de 251 quartos, possui Quartos Superiores e Deluxe, assim como Suítes e Apartamentos, para atender as diferentes necessidades de nossos hóspedes. Our modern and stylish All-Day Dining Restaurant serves an international buffet breakfast, with European and authentic Sichuan cuisine available in our a-la-carte menu throughout the day. O lounge do lobby oferece café moído na hora, bolos quentes e sanduíches durante a sua estadia. Além disso, uma seleção soberba de vinhos e lanches é o destaque durante as tardes e noites.